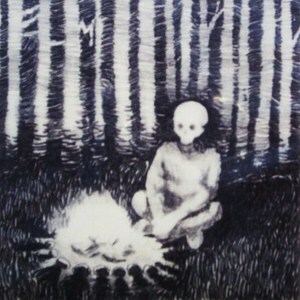 1) Free folk/drone project Elm, the solo guise of Jon Porras, best known for his adventures as half of the magnificent Barn Owl (without Evan Caminiti). In Jon's own words: "Elm is simply a way for me to release the material that I record at home, usually alone and in a dense blanket of fog. For now I'm working with hazy, dreamlike atmospheres, I try to evoke an entire experience with elm, a headspace to lull in, to drift off into. I was also really inspired by the one-man black metal band thing, completely aside from the actual music, the ability for one person to create the experience of an entire band or orchestra was really appealing to me. I want to exploit the capabilities of home recording and home production to evoke a place of mystery, a mark of the unknown." 3 Elm, Adam Loomis' indie solo project based out of Minneapolis, is best described as a 'prolific array of young honesty'. He releases albums through the free netlabel Rack & Ruin records. So far, albums 'Changeling', 'Body Language', 'Parties and Such', 'Yours Truly', 'I am', 'ForThemFromThem', 'Significant Piano Movements', and 'Cloud Burst' are in existence. Elm has also been featured on 'Various Artists- 100', a compilation of R&R music. He enjoys long walks in the snow, and hot chocolate.